Did you know that Schwarze uses durable, anti-corrosive, double wire braid hydraulic hoses on all its sweepers as an extra measure of safety? Double wire braid hydraulic hoses are made of synthetic rubber lining, protected by two wire braid reinforcements separated by a synthetic rubber layer, and a synthetic rubber cover that is oil and abrasive resistant. 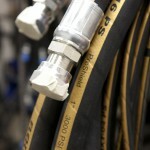 These hoses can bear very high temperature, pressure, and vacuum. Possibilities of bursting or malfunctioning have been reduced to a great extent because of the fabrication of the second wire braid. Not only does this second wire provide for a higher working pressure, but the inner braid is still protected even if the hose cover has been damaged. This is especially important if your sweeper is often left out in the weather. 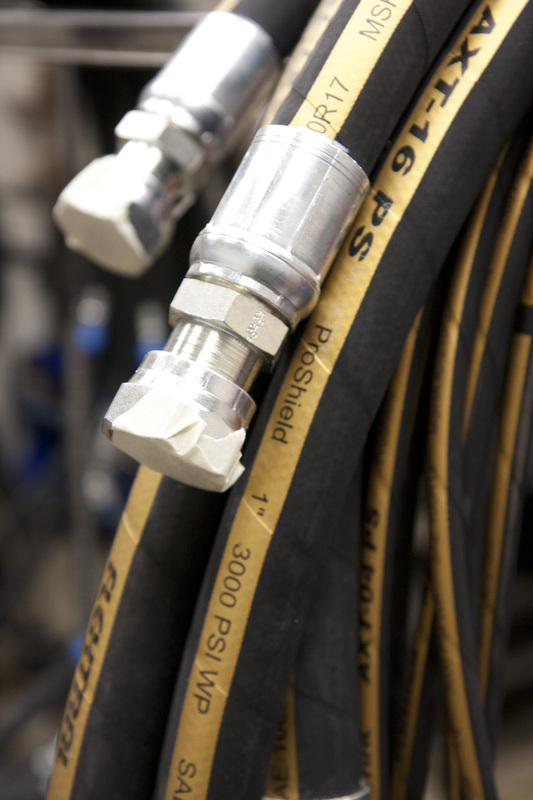 The tube is the inner most lining of the hydraulic hose conveys the oil and protects the outer elements of the hose from the possible aggression of the oil. The cover, outermost element of the hose, is used to protect against environment, machines, and machine operations themselves.